Sometimes, it's hard to make new friends. We all remember that dreadful first day at a new school. Fortunately, this isn't the case when Sookie is around! 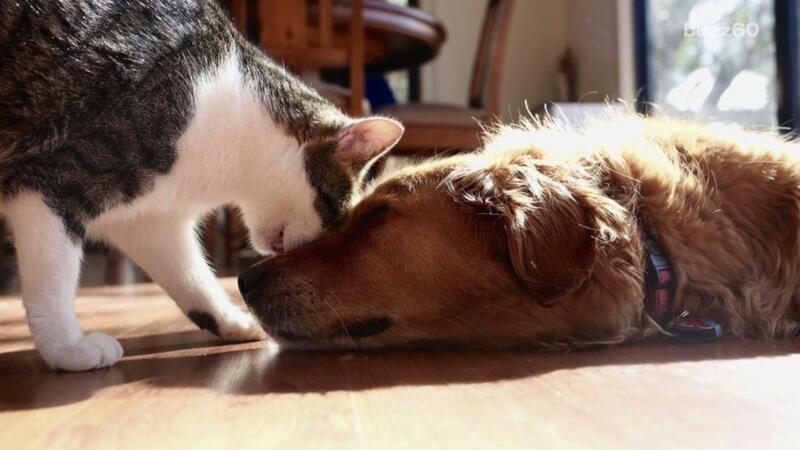 The sweet pup is friendly, and loves her kitty friend, Dave. Dave was introduced to four other cats: Pony, Tia, Evy, and Kittay. The four cats were a little too cliquey, and didn't welcome Dave into the group. They found Dave annoying, and would hiss if he even got too close. Sookie, however, wasn't having it with any of the bullying. The pup did the complete opposite, and had patience with the energetic little kitten. IMG_4013 from Elizabeth Claire Alberts on Vimeo. Soon, the pair were doing everything together. Though the other cats were still ignoring Dave, he didn't need them anymore. Dave eventually made new cat friends of his own kind, but he will always have a special bond with Sookie. The moral is: In a world of Ponys, Tias, Evys, and Kittays, always remember to be the Sookie.